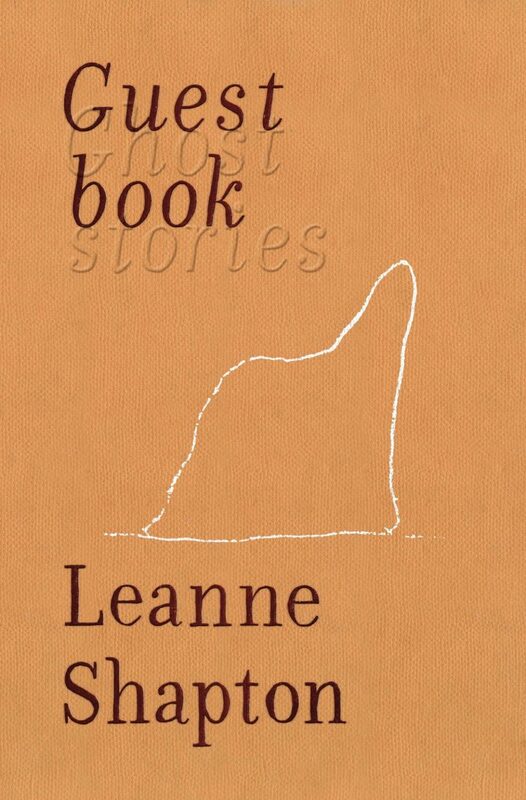 In Guestbook: Ghost Stories, Leanne Shapton suggests that hauntings occur when the past’s bony fingers grasp at the present, touching us like a ghost might. What does it mean to be haunted? A haunted house is home to spirits, while a haunted person struggles with something — or someone — from their past. In the entirely original Guestbook: Ghost Stories, Leanne Shapton suggests that hauntings occur in both cases when the past’s bony fingers grasp at the present, touching us like a ghost might — and thus is mistaken for a ghost. She creates these temporal collisions by combining her own original text with found images, and the results are exceedingly uncanny. The collection’s subtitle promises short stories, but they’re actually more like vignettes, or collages. Some are several pages long; others end after only a page or two. All of the vignettes suggest hauntings of one kind or another — supernatural, psychological, metaphorical — and each left me unsettled but riveted. Each vignette builds slowly, the text and images working together to create new meanings from their association. In “Georgehythe Place,” perhaps the most straightforward of the collection, Shapton opens with a paragraph about how a family called Percy came to own a mansion. That’s followed by black and white photos of a mansion and several early-twentieth-century portraits of a well-to-do family. The portraits dominate the page, creating a rather personal effect: I felt as if I were flipping through a book of family photographs. The photos could have told almost any story, and probably a happy one, had they been presented without text. But Shapton destabilizes their meaning by placing short captions below each. They describe how the people portrayed fell victim to tragedies inside the house. Soon the sense that these are happy people fades, and by the final page the photos radiate dread. “Sirena de Gali” is another standout vignette about a haunted place. The title, we learn, comes from a vintage clothing store that sells mid-twentieth-century women’s fashion. Photographs of clothing items for sale spread across the page. Beneath each is the price of the item followed by a description that reads like a standard ad for a vintage clothing shop: “Bias-cut black velvet dress with princess sleeves, some staining, damage to back, and some odor,” reads one. Below those, Shapton includes brief paragraphs from the perspective of the women who wore the dresses. Each begins in medias res: “Looking at it, she thought of the morning interview, the smell of coffee as she passed the vendors on the street, a revolving door to the lobby, the elevator to the sixteenth floor.” Here Shapton ekes ghostly mystery out of few words, letting the images suggest additional details about the women’s previous lives. Some vignettes hold their surprising reveal until the end. In “A Geist,” 46 photos of a man attending high society events are arranged across several pages like those in the late Bill Cunningham’s fashion column in The New York Times. The man is well dressed, and the events are occurring at different locations. It’s easy to miss the strangeness of the photos — clearly, good times were had by all. But once I realized that each is captioned with the same date, Friday, October 29, 2018, I understood: This man, appearing in several places at once, must be a specter as well as social spectator, or, as the story title suggests, both a guest and a geist. However, some of the collection’s most potent vignettes have nothing to do with the supernatural. “Middle Distance” presents a man, recently divorced, struggling to know himself better with the help of a therapist. The pages in his story are mostly taken up by images of mirrors. Nothing reflects back in them. The text is relegated to the very bottom of the pages and is written mostly from the perspective of the man: “I’m lonely,” he says aloud in his house to no one. And then: “No, I’m not.” He reaches for his phone and deletes photos of himself taken the night before. The text suggests an unhappy marriage, but when paired with images of blank mirrors, he becomes a character unable to see himself accurately. Taken together, the text and images portray a man haunted not by spirits but by past mistakes. Other vignettes in Guestbook resist easy description. But that’s the beauty of this book. Like the spiritual world that inspired it, Guestbook draws eerie, tantalizing power from moments of confusion. It throws into question the meanings of what we read and what we think we see. 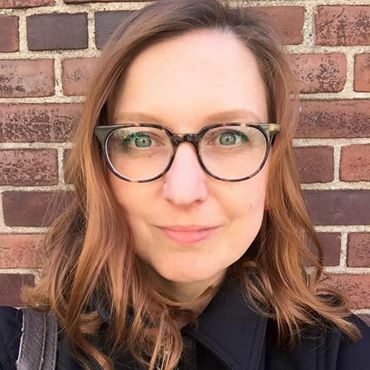 Guestbook: Ghost Stories, by Leanne Shapton will be published by Riverhead Books in March of this year.